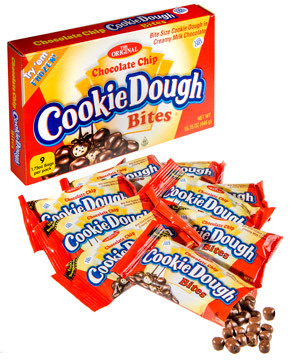 Giant Box of Cookie Dough Bites: Nearly a pound of the movie theater candy. Raw cookie dough: the irresistible pre-baking treat we know can make us sick if we eat too much. 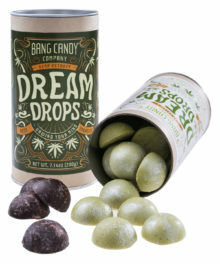 Now this forbidden food is available in a binge-safe form and covered in chocolate for extra tastiness! 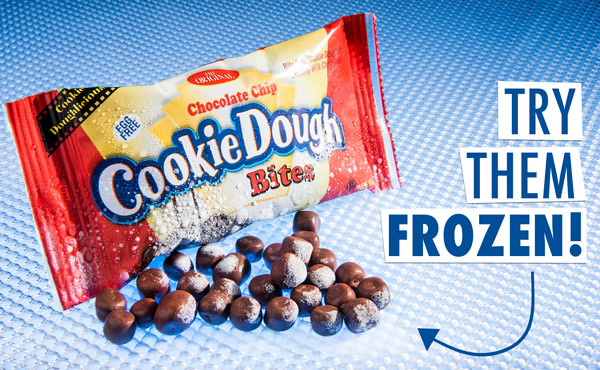 Each Cookie Dough Bite has the taste and texture of chocolate chip cookie dough that’s been dipped in chocolate. They’re housed in a jumbo-fied version of the box you'd find at a movie theater. Of course, a box this size at a theater would cost about the the same as the budget of an independent film. 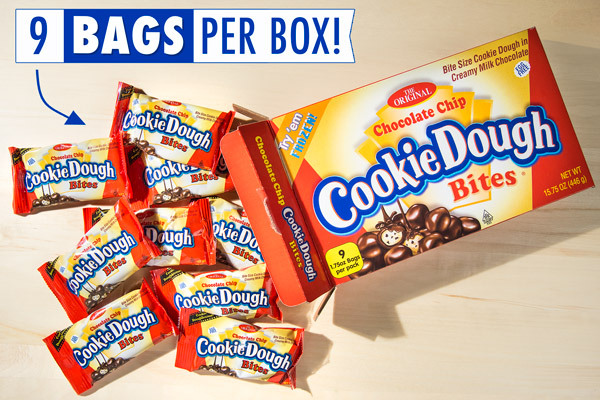 The giant box is filled with nine snack-sized bags, totaling almost a pound of cookie dough deliciousness with no refrigeration required. Concession stands have long been selling Cookie Dough Bites, deliciously sweet morsels that are perfect for movie munching. Now this classic cinema snack is available in a box so delightfully big that you wouldn’t be able to sneak it into the theater. 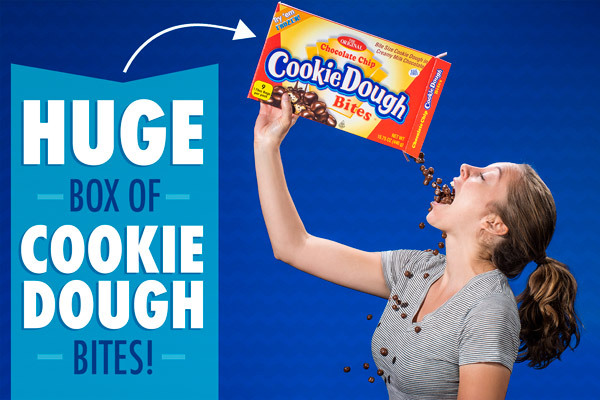 With just under a pound of delicious chocolate-coated candies in each container, the Giant Box of Cookie Dough Bites will last through your home movie night or a whole film festival. The enormous box is also an enormous value (the first time you can say that about a movie theater treat). ...to get the whole row a treat! If you’ve ever been more excited to eat the cookie dough than baked cookies, this is the candy for you. Each little morsel is a small ball of chocolate chip cookie dough that’s been dipped in milk chocolate (because chocolate is delicious)! The treats capture the flavor and texture of raw cookie dough, but since they’re not made with eggs, they’re completely safe to eat. 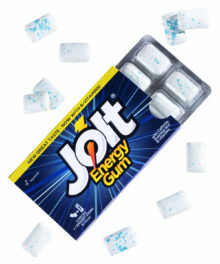 Best of all, they can be stored at room temperature for convenient snacking wherever you need them. Skip the baking pretense—eat that cookie dough in its purest form! This blockbuster-sized box is filled with nine snack-sized bags for portable snack time. 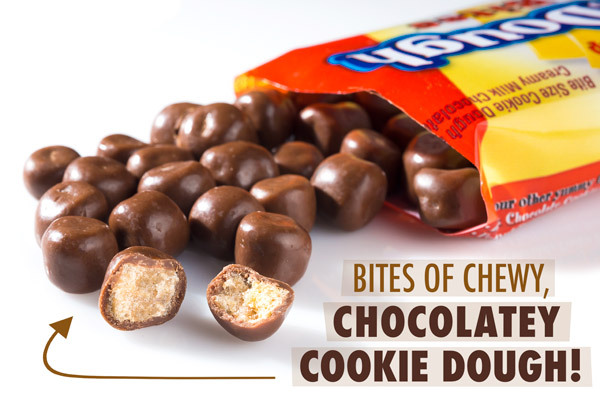 Each pouch contains 1.75 oz of tasty chocolate-covered cookie dough bites. 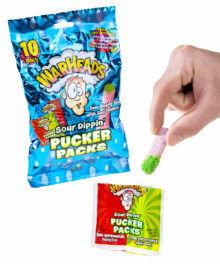 It’s a great size for a quick snack… if you can restrain yourself from tearing open yet another bag. Cookie Dough Bites can be safely stored at room temperature, but you may find you prefer them frozen. Cookie Dough Bites are one of those sweet treats that’s better cold (like Thin Mints or revenge). Try sticking these American-made bites in the freezer and enjoy your new favorite snack in a new way. Deliciousness is good at just about any temperature. Question: If it’s cookie dough, do I have to refrigerate it? Answer: Cookie Dough Bites don’t have the same raw cookie dough you would use for baking. 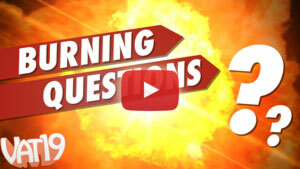 Most importantly, they don’t contain eggs, so they don't’ require refrigeration. Answer: Milk chocolate (Sugar, Cocoa Butter, Whole Milk Powder, Soy Lecithin and Vanillin) Chocolate Chip Cookie Dough (Wheat Flour, Brown Sugar, Partially Hydrogenated Palm Kernel Oil, Sugar, Semi-sweet Chocolate Chips (Sugar, Cocoa Butter, Soy Lecithin) Glycerin, High Fructose Corn Syrup, Palm Oil, Natural Flavors, Soy Lecithin, Xanthan Gum, Leavening (Sodium Bicarbonate)), Peanut Traces. 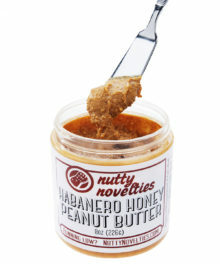 Note: This product is packaged in a facility which also packages peanuts, other nuts, milk solids, eggs, wheat, and soy protein.